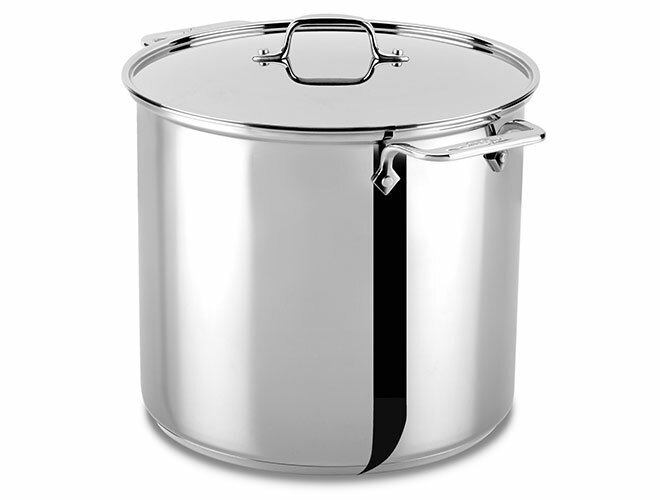 The All-Clad Stainless Steel Stock Pot is perfect for creating stock, soups and stews and for preparing food in large quantities. 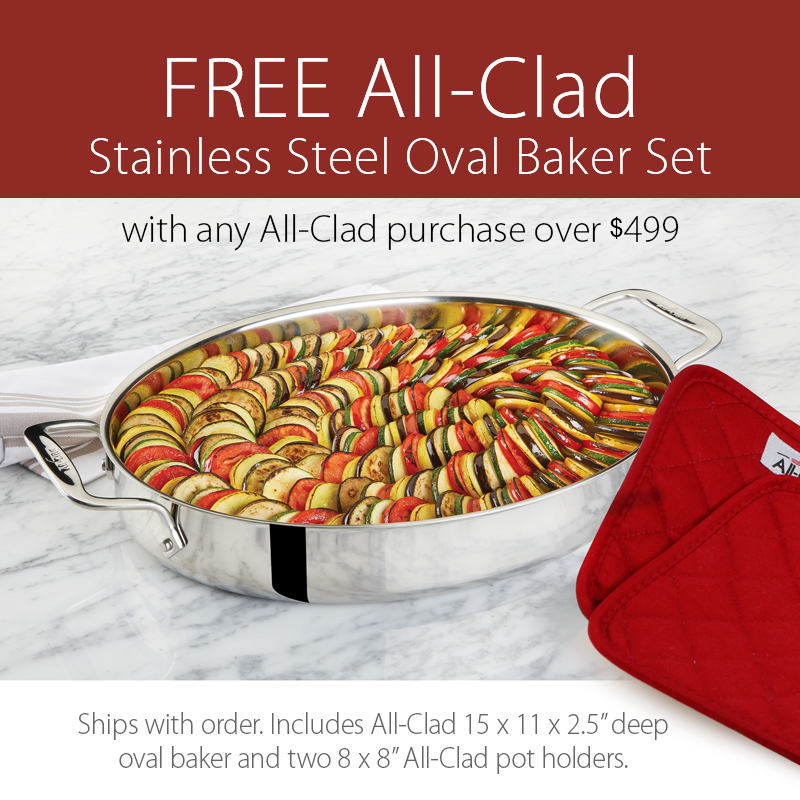 Constructed of bonded stainless steel around an aluminum core in the base for exceptional heating, including induction cooking. 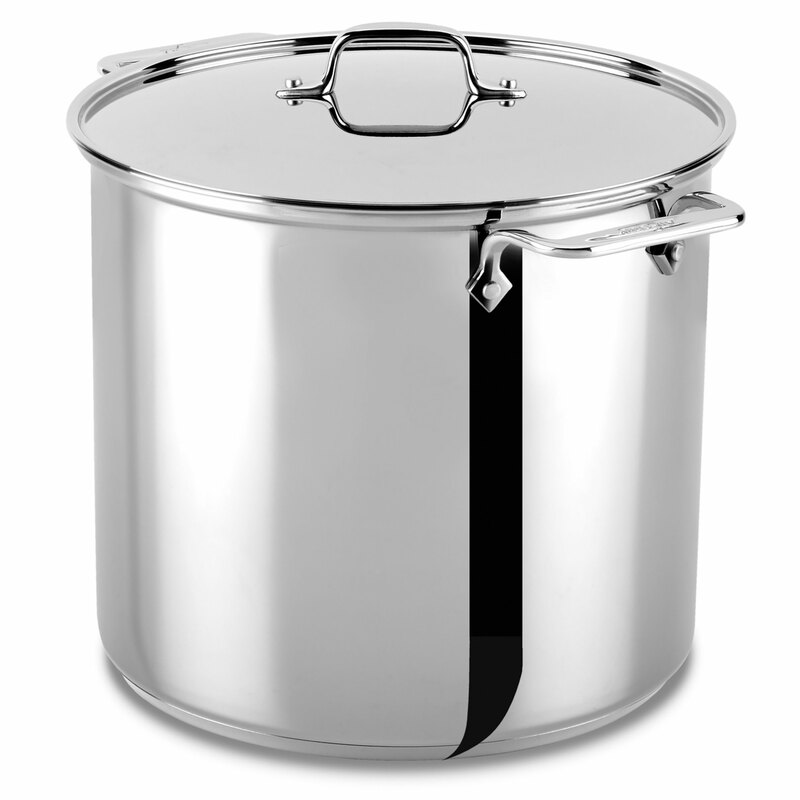 Features a high-polished 18/10 stainless steel construction with easy-to-grip loop handles. The wide base allows for sauteing ingredients before adding liquids, and suited for canning, blanching and preparing large meals.